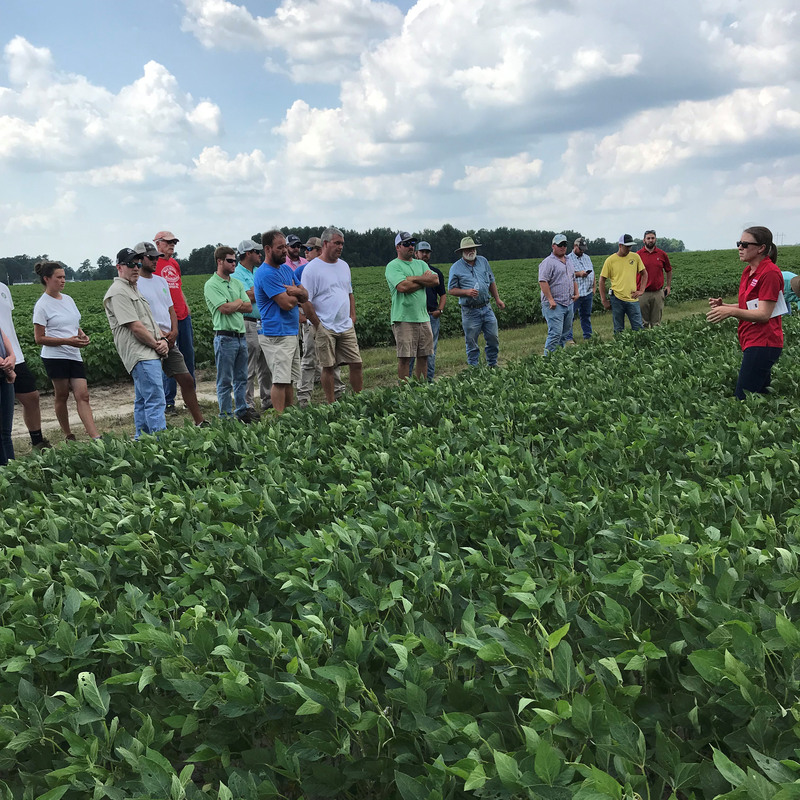 Dr. Rachel Vann provides leadership for the NC State Soybean Extension Program focused on providing soybean stakeholders across North Carolina with agronomic information that will aid in maximizing soybean yields. Rachel directs her extension efforts towards general soybean agronomic management. The focus of her research program includes appropriate soybean maturity group selection, ideal planting windows, rotational effects on soybean production, maximizing cover crop benefits to increase soybean yields, product evaluation, and grain pea production. She teaches the agricultural institute and undergraduate course on soybean production in the spring. Rachel grew up in Geneseo, Illinois and completed her Bachelor’s Degree at the University of Illinois Urbana-Champaign studying Natural Resources and Environmental Sciences with a minor in Crop and Soil Science (B.S. 2012). She completed her graduate degrees at NC State University. Her Master’s degree focused on cover crop management in organic corn production and organic canola production (M.S. 2015). Between her Master’s and Ph.D. she completed a U.S. Borlaug Fellowship in Costa Rica. Her Ph.D. focused on cover crop breeding and management and weed control in cotton (Ph.D. 2017). Prior to beginning her position at NC State as the Soybean Extension Specialist, Rachel was an Postdoc in the Organic Grains Program. Vann, R.A., S.C. Reberg-Horton, C.R. Crozier, and G.T. Place. Effect of soybean maturity, crimson clover seeding method, and crimson clover seeding rate on clover biomass and nitrogen. Accepted to Agron. J. on June 2, 2018. 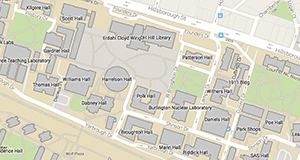 Vann, R.A., S.C. Reberg-Horton, M.S. Castillo, S.B. Mirsky, and R.J. McGee. 2018. Winter pea genotype screening for grain crop production in the southeastern USA. Agron. J., 110:1-10. Vann, R.A., S.C. Reberg-Horton, K.L. Edmisten, and A.C. York. 2018. Implications of cereal rye/crimson clover management for conventional and organic cotton producers. Agron. J., 110:621-631. Vann, R.A., S.C. Reberg-Horton, H.J. Poffenbarger, G.M. Zinati, J.B. Moyer, and S.B. Mirsky. 2017. Starter fertilizer for managing cover crop-based organic corn. Agron. J., 109:2214-2222. Vann, R.A., A.C. York, C.W. Cahoon Jr., T.B. Buck, M.C. Askew, and R.W. Seagroves. 2017. Effect of delayed dicamba plus glufosinate application on Palmer amaranth (Amaranthus palmeri) control and XtendFlexTM cotton yield. Weed Technol., 31:633-640. Vann, R.A., A.C. York, C.W. Cahoon Jr., T.B. Buck, M.C. Askew, and R.W. Seagroves. 2017. Glufosinate plus dicamba for rescue Palmer amaranth control in XtendFlexTM cotton. Weed Technol., 31:666-674. Vann, R.A., S.C. Reberg-Horton, and C.M. Brinton. 2016. Row spacing and seeding rate effects on canola population, weed competition and yield in winter organic canola production. Agron. J., 108:2425-2432. Wallace, J.M., A. Williams, J.A. Liebert, V.J. Ackroyd, R.A. Vann, W.S. Curran, C.L. Keene, M.J. VanGessel, M.R. Ryan, and S.B. Mirsky. 2017. Cover crop-based, organic rotational no-till corn and soybean production systems in the mid-Atlantic United States. Agriculture. doi:10.3390/agriculture7040034.